MCMC unblocked Steam once the latter removed the controversial game from its website. 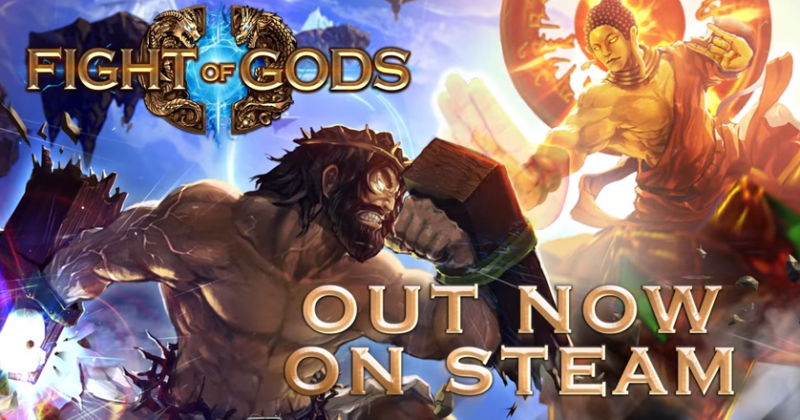 ‘Fight of Gods’, which was developed by a Taiwanese gaming studio and released earlier this month, features several deities and religious figures such as Odin, Amaterasu, the Buddha, Jesus, Moses, and Zeus among others in a mortal combat game. “(To ensure) solidarity, harmony and wellbeing of the multiracial and multireligious people in the country are the main objectives of the government. The government will not compromise with any action that can jeopardise these objectives. Malaysia has a predominantly Muslim population. In recent years, hardline Islamic clerics and other conservative  religious leaders have criticized the government for its failure to strictly enforce Islamic teachings. Fight of Gods is a video game that takes a humorous approach to religion in the same way that other entertainment formats have – across television, film, books and theatre. The game is not promoting any religious agenda and is not designed to offend. The description of the game on the digital platforms through which it is distributed provide clear guidance on the nature of the game and its content so that people can freely choose whether or not to play it. We are disappointed that such freedom of choice is not given to everyone and in particular that the game has been forcibly removed from sale in Malaysia, although no direct communication has been received by us as to the reasons for this. Nevertheless we respect any rules and censorship imposed in any given territory. PQube also added that the game does not feature any reference to Islam. The blocking of Steam, which has some 2,000,000 users in Malaysia, angered gamers who were unable to access their favorite games. The Facebook page of MCMC was flooded with comments from Steam users demanding the unblocking of the popular gaming website. Dear MCMC, you should realize that you were blocking access to legal software that Malaysians can purchase, but you also jeopardized the potential revenue and reputation for many Malaysian Game Developers. There are also thousands of students in Malaysia studying game development, and actions like these successfully erode everyone's confidence in an agency that is supposed to be at the forefront in protecting EVERYONE's rights. Steam became accessible again after MCMC acknowledged that the ‘Fight of Gods’ game had been removed from the website. Some have argued that Section 263(2) [Malaysia’s Communications and Multimedia Act of 1998] allows the MCMC to block content. However, that section only states that licensees shall assist the MCMC as far as reasonably necessary in preventing the commission or attempted commission of an offence. The Twitter hashtag #PotongSteam (Cut the Steam) was used by netizens to link to the controversy. Potong Steam is a Malaysian slang  term for killjoy or buzzkill. Many of those who used the hashtag were gamers, who are usually politically apathetic. Govt treat Msians like kids – forbidding them playing a certain online game, telling them don't be naughty & some people think it's fine.